In the cookie cutter model of American MMA in 2018, we are often subject to the same experience for every event. For over a decade now the UFC has been the standard that all other organizations aim to be with the majority of the best fighters in the world competing under their banner. However, their events no longer tie together to tell the story of each division or the rise of fighters from prospects to champions. Fights now seem to be made to maximize profits. While from a business standpoint this makes sense, it takes away from the natural progression of the athletes in the sport. In early MMA there were one night tournaments that allowed a story to be told about a particular fighter. In one night you would learn about a fighters skills, heart, toughness, and personality. After that champion competed three times that night it felt like you knew that fighter. These competitors became household names in a matter of hours. Names like Royce Gracie, Dan Severn, Don Frye, and Marcos Ruas (to name just a few) became recognizable figures in a burgeoning sport. No matter what would happen to those fighters in the future, the story of that one night was already told. Royce Gracie was the UFC 1 tournament champion, Dan Severn was the UFC 5 tournament champion. There was no need for a sequel as those men entered a competition with 7 others to determine who was the king that night and who that chapter of the sport would be written about. There was no negotiation about a next opponent. No rushing to social media to look for public approval. It simply did not matter. Whether a “Tank” or a “Russian Bear” was waiting in the next round, they made the walk to the cage mere minutes after having beat their previous opponent to a pulp. The tournament brackets were set and there was no way of avoiding the inevitable. While the sport has moved into regulation and strict commission rules, every once in a while we get a bit of a blast from the past. In 2018 that is being delivered by Scott Coker and Bellator MMA. 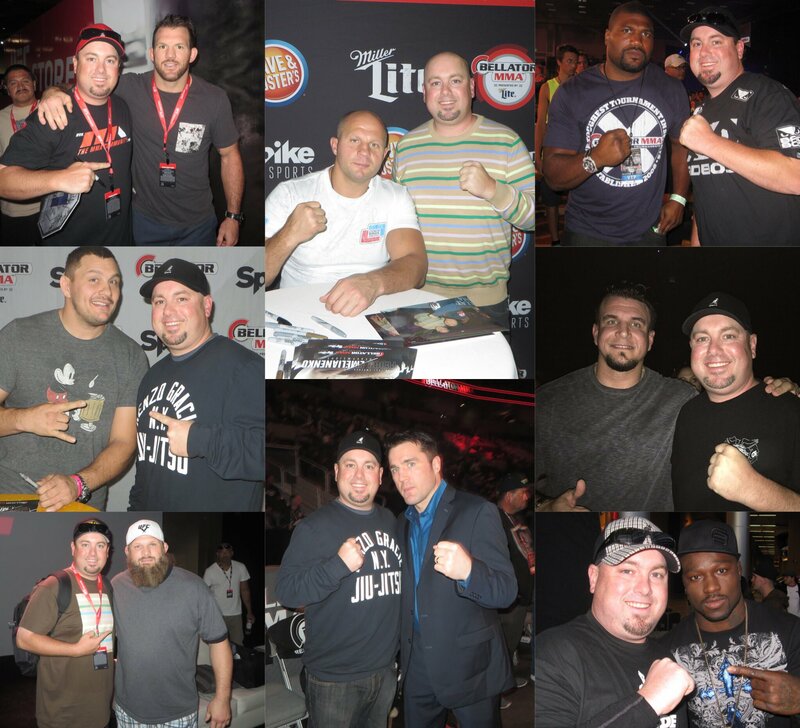 As January 20th approaches the sport of MMA is preparing for the return of a tournament format in the form of a heavyweight champion Grand Prix spread throughout the coming year. The tournament was announced in late 2017 and will feature some of the biggest names in the history of the sport. With names like Fedor, Rampage, Mir and Big Country this is sure to be a hit with longtime fans. While most of the competitors’ best days are behind them the visual of seeing an 8 man bracket brings back the nostalgia from the past. In this View from The Hawks Nest I’ll be breaking down the eight fighters from my perspective from meeting them and watching them fight live. Whether it started on an Indian reservation almost 20 years ago to just last year at MSG, I’ve had the tremendous opportunity to follow many of these fighters careers from the very beginning. The tournament begins January 20th at the Forum in Inglewood with three-time UFC title challenger Chael Sonnen (30-15) facing off with former UFC champion and Pride FC icon Quinton “Rampage” Jackson (37-12). On June 24th, 2000 in San Jacinto California I attended my second King of the Cage event. KOTC 4 was headlined by UFC 5 vet Todd Medina vs Pride FC staple Daijiro Matsui. However, it was the earlier bout of the evening that really caught my attention and remained etched in my memory. The super heavyweight bout between Jackson and Marvin Eastman featured two chiseled competitors going back and forth in a very competitive 2 round bout. After 10 minutes, Eastman was awarded the decision, but Rampage who entered the cage wearing his signature chain around his neck left me with the impression that he would be someone to keep an eye out for in the future. After the bout, he would go on to win his next 8 bouts before being defeated by the legendary Kazushi Sakuraba in his pride debut. He would also go on to avenge the loss to Eastman by beating him by knockout at UFC 67. Four events later he would cement his place in MMA history becoming the UFC light heavyweight champion after a quick finish of Chuck Liddell at UFC 71. While his career has had several up and down moments Rampage is without a doubt one of the most recognizable fighters in the history of the sport. Outside of the cage I’ve had the opportunity to have a couple small chats with him. Most recently at the San Jose airport where he expressed an appreciation for this longtime fan. When a legend of the sport extends his hand to thank you for all your support over the years it’s something you remember. The bout on the 20th will mark only the second time seeing him fight live and the 18 year gap between the bouts being the largest of any fighters I’ve watched compete live. Like Rampage, my history watching Chael Sonnen was very similar. After a couple years of attending events around the Southern California area, in 2002 I got in touch with UFC 8 competitor Paul Herrera. 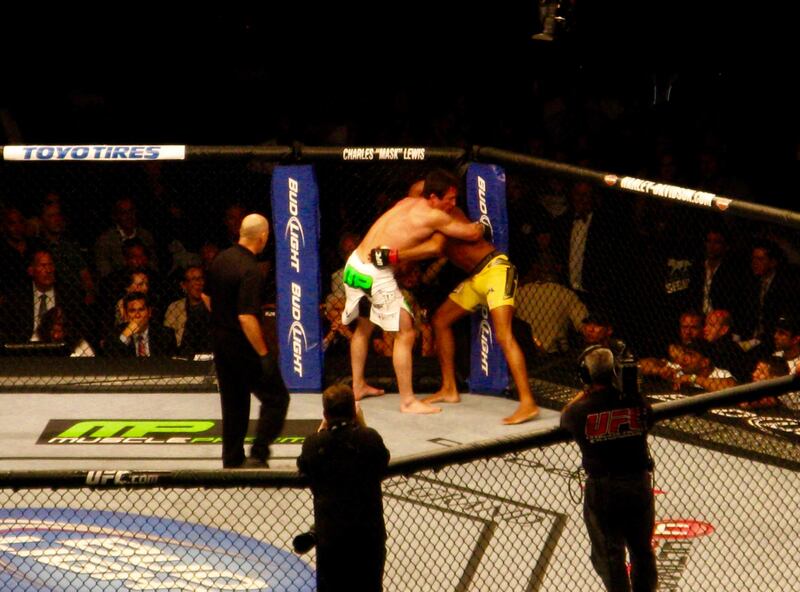 Now unfortunately for Herrera, his time in the octagon lasted about 10 seconds against Gary Goodridge. During those few seconds, he became very familiar with Gary’s elbow and became a victim of one of the most brutal finishes in the sport's history. Now with all that said he was promoting an event in 2002 called Hitman rumble on the Reservation. The card which featured a 4 man heavyweight tournament and included some recognizable names like Tiki and Brink for the locals attending. It was a mid-card bout at the show that would feature the two most successful fighters competing against each other at the birth of their careers. A 1-0 Sonnen faced off against a 2-0 Jason “Mayhem” Miller. While Sonnen would go on to win a decision, both fighters would go on to have exceptional careers and both be just seconds from reaching the ultimate championship goal. Mayhem would lock up a rear naked choke on Jake Shields in a middleweight championship bout in Strikefore only to have the final bell sound allowing Shields to win the bout by judges decision. Chael would eventually get to the UFC and work his way to a title bout with the great Anderson Silva.Very few people were giving Sonnen a chance as Silva had looked indestructible in his entire UFC run. After shocking the mma world and completely dominating Silva for 4 and ¾ round he would fall victim to a “Hail Mary” triangle choke and was forced to tap out. A couple years later I’d attend UFC 148 where Sonnen would look to get his revenge on Silva and finally get his belt. Unfortunately, after winning round 1 a sloppy attempted spinning elbow would lead to a KO win for the Spider. I’ve witnessed five live Sonnen bouts, most recently his victory over Wanderlei Silva at Bellator 180 in New York City. The wins over Miller and Wanderlei sandwiched around losses to Jeremy Horn, Tito Ortiz, and Rashad Evans. The next scheduled bout of the tournament will feature Matt Mitrione (12-5) coming off the win of his career over Fedor Emelianenko, facing off in a rematch against Ultimate fighter 10 season winner Roy “Big Country” Nelson (23-14). Their first bout saw Nelson beat the very inexperienced Mitrione by KO in 2012. The fight with Fedor was the only time I’ve witnessed a live “meathead” bout, although I was at UFC 175 where he was scheduled to fight Stefan Struve before a last minute cancellation due to a medical situation with Struve. My respect for Mitrione comes from his humbleness before and after his bout with Emelianenko. During a time when so many others took the opportunity to take shots at the declining legend, Matt kept it classy and always showed the respect that Fedor was due. So even after he defeated my personal favorite fighter, it was impossible to not appreciate Mitrione’s victory in the cage. 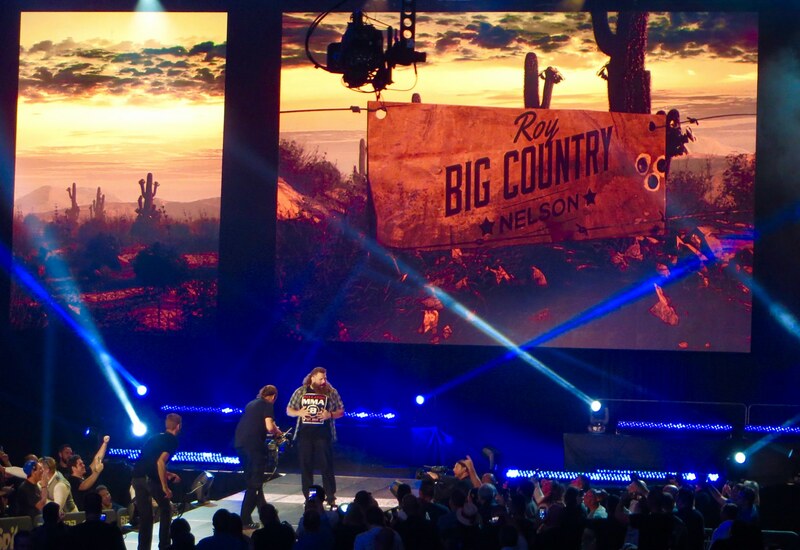 The veteran Roy Nelson, whose career started off winning a one night four-man heavyweight tournament, has been one of the most recognizable fighters in MMA over the last decade. He has had many public disputes with UFC president Dana White that has also made the news. His physical look of an overweight fighter has made him the target of some ridicule but also became his signature. His top of the cage belly rub is something that always makes this MMA fan laugh. Physical appearance aside, Roy has had an extremely accomplished career. Aside from winning the Ultimate Fighter, knockout wins over legends like Mirko Cro Cop and Antonio Nogueira make his abilities undeniable. It’s only been in the last couple years that I’ve got a chance to watch Roy compete live. The first time was a questionable split decision loss to Derrick Lewis in a 2016 UFC bout. But I was there for his Bellator debut in a winning effort verse the dangerous Javy Ayala at Bellator 183 this past September. The winner of this bout will have a significant size advantage in the semifinal. As the bottom of that bracket features a matchup between traditional light heavyweights. The aforementioned bout featuring two light heavyweights pits former Strikeforce LHW champ and Rizin Grand Prix champ King Mo Lawal (21-6) versus current Bellator LHW champion Ryan Bader (24-6). This bout is interesting because it could very easily be a championship fight in their traditional weight class. King Mo since has never been one to hide behind a weight class. Since his debut in Sengoku his weight class has been whatever people want to pay him to fight at. With over a third of his bouts taking place overseas, I’ve only had the opportunity to see him fight live twice. The first was a bout at Bellator 131 in San Diego where he finished off an outclassed Joe Vedepo by third-round TKO. 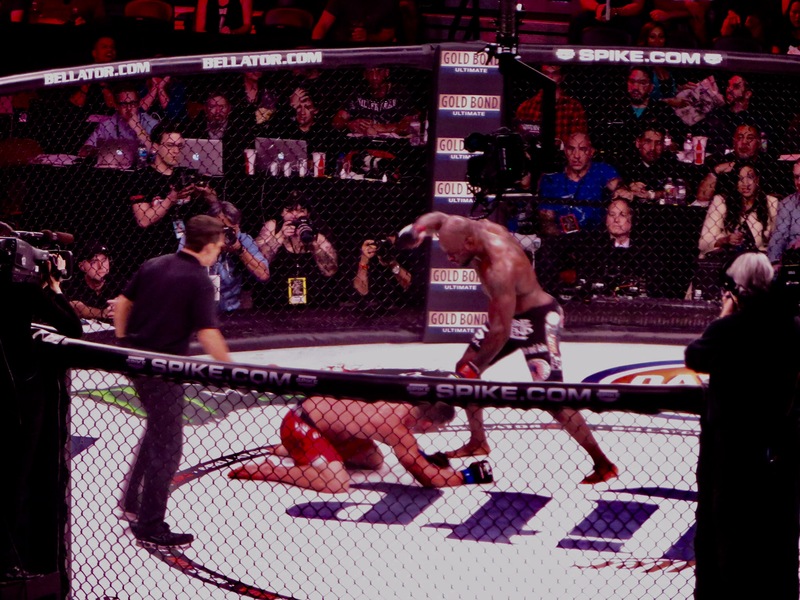 Then at Bellator 142 he entered a one night 4 man tournament in the LHW class. He defeated Linton Vassell in a special rules two round fight by decision. Unfortunately, he was injured in the bout and was unable to continue to face Phil Davis later that evening. He would eventually meet Davis in a three-round losing affair at Bellator 154. His opponent Ryan Bader like Nelson was also an Ultimate Fighter season winner. After winning season 8 of the series, he would go on to win his next four fights before running into a young buzzsaw named Jon Jones. After that bout he would be scheduled for a date against Tito Ortiz at UFC 132. This would be the first time I would see Bader fight live. The night turned out to be a nightmare for Ryan as he was beaten in a huge upset by the heavily declining Ortiz. The bout saw Tito drop Bader with a punch and finish him with a first-round guillotine choke. Following that loss he went through some ups and downs but has now won 9 of his last 10 including a 5 round title win over Phil Davis at MSG this past June at Bellator 180. Of all the competitors in this tournament, he is the most in his prime. With a chance at becoming a historic two-division champion, it will be interesting to see how he is able to compete against a true heavyweight if he is able to get by the always dangerous Lawal. That leaves us with the quarterfinal that I anticipate the most. A bout between all-time great Fedor Emelianenko (36-5-1) vs former two-time UFC champion Frank Mir (18-11). While Fedor was preparing to go on a historic run in Japan’s Pride Fighting Championship, Frank Mir was getting ready to start a great career of his own. Of all the heavyweights in UFC history, there is none that I’ve witnessed make the walk to the octagon more than Mir. Starting with my second UFC event at UFC 34 in November 2001. That night a debuting Mir brutally subbed Brazilian jiu-jitsu black belt Roberto Traven by armbar. The young Mir returned quickly at UFC 36 and again subbed his opponent. This time the victim was former UFC title contender Pete Williams who submitted 46 seconds into the bout by a rare shoulder lock. After watching his two bouts against Wes Sims at UFC 43 and 46 it would be UFC 48 where I would witness Frank win the Heavyweight gold in a bout with the then-champ Tim Sylvia where he would proceed to snap the giant’s forearm. The violent finish would become one of his signature highlights. After a terrible motorcycle accident derailed his run he would return and eventually win the interim championship with a KO of Antonio Nogueira at UFC 92. As a huge and violent grappler with a strong knockout punch, Mir is definitely a major threat to win this tournament. A win would put a tremendous accomplishment to his already hall of fame resume. When we comment on all-time greats in fight sports there are certain names that cannot go without being mentioned. One of those names is Fedor. The man that stood on top of the heavyweight division for a decade also enters his name into the tournament. If you’ve read some of my previous writings you will see my admiration for this competitor. An undersized heavyweight that showed up every time to put on a show for the MMA world. His run at the top was something that is unparalleled in the short history of the sport. The tension and anticipation in the arena when he fought was something that I’ve never felt in a couple hundred other events. Getting a chance to watch the great Fedor fight live five times is the highlight of my time as a fan of MMA but it doesn’t end at just watching him compete live. This past September I got my hands on a few replica sweaters of absolute victory. A piece of clothing made famous by the great during his epic run. 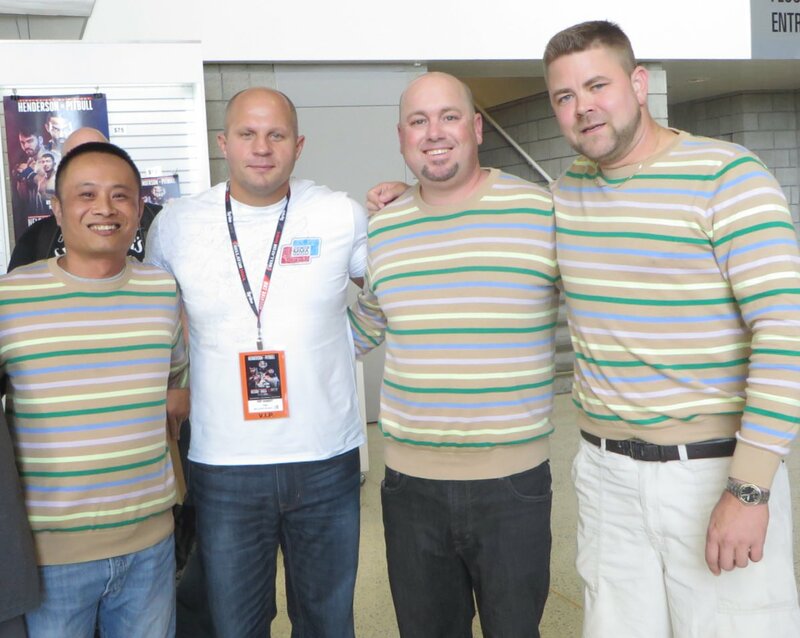 As myself and friends entered the SAP center in San Jose, out of nowhere there was Fedor, but this was not my normal fan/fighter interaction. This time we were the ones noticed and the legend pushed by his own security to ask for a photo with us. Setting up what some have called the greatest fan photo of all time. Whether he wins this tourney or not will not change my opinion on the man's previous accomplishments but it would go a long way in cementing his place as the greatest heavyweight to ever compete in the sport for the next generation of fans. In 2018, MMA fans have a tournament to look forward to. Whoever wins will be remembered for not just winning three fights but being a tournament champion. 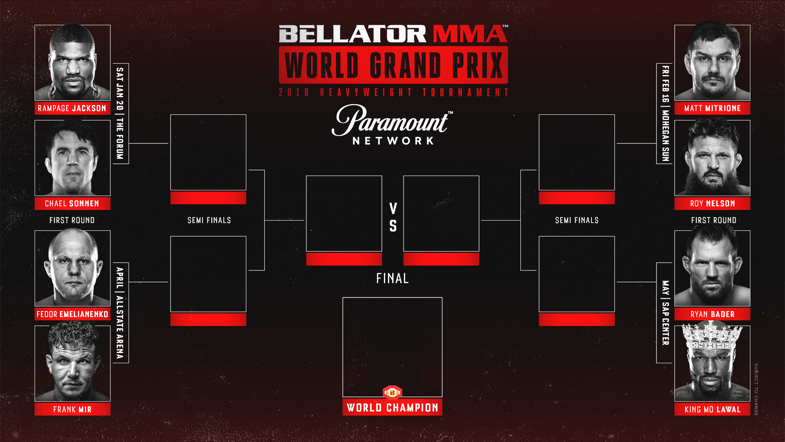 Years after stateside tournaments have essentially disappeared I’d like to thank Bellator for going outside of the status quo and going back to the what this great sport was built on.